London fashion kicked off in big way this weekend and the fashion folk flocked to Somerset House. I find this area is one of the best at this time of year for some cracking style, this week I will be showing all including interviews and who I stalked, plus some of the shows and backstage goss along the way. Here's my first little lady - French and very very funky! Loved her attitude which she portrayed perfectly through her style. 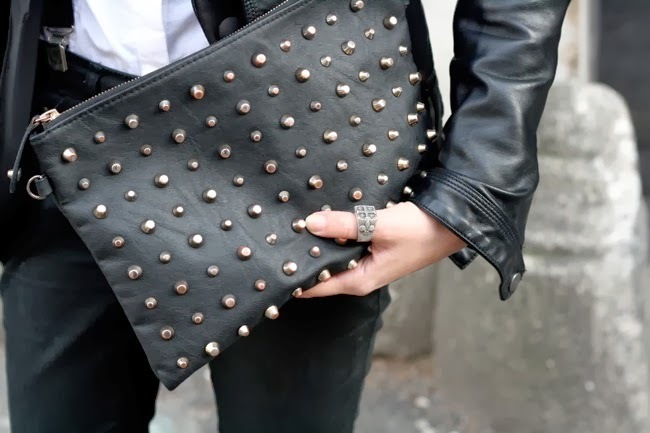 Leather and studs - you can't get much better! Love the studs.... I'm a sucker for a fierce clutch! PPQ AW14 SHOW: Backstage Glimpse! 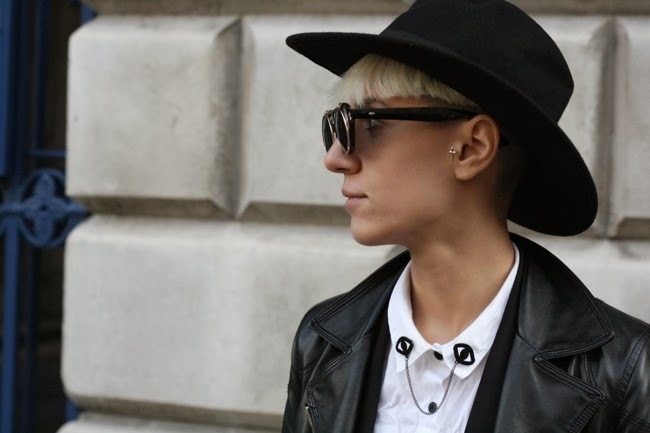 Stalked: Imogen Belfield, Jewellery Designer.